Meet the New Director of Liturgical Music! Fr. Chad Hatfield introduces us to Alla Generalow, the new Director of Liturgical Music at St. Vladimir's. Fr. 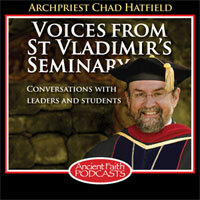 Chad Hatfield, Chancellor of St. Vladimir's Seminary, speaks at the school's Diaconal Formation Workshop.